An exterior view of the Menlyn Maine development . When developers planned the Menlyn Maine mega-city, they wanted to ensure that commuters would never have to deal with traffic congestion. With the opening of several new access roads, Menlyn Maine becomes more accessible to commuters coming from many directions to access the Menlyn Maine precinct. 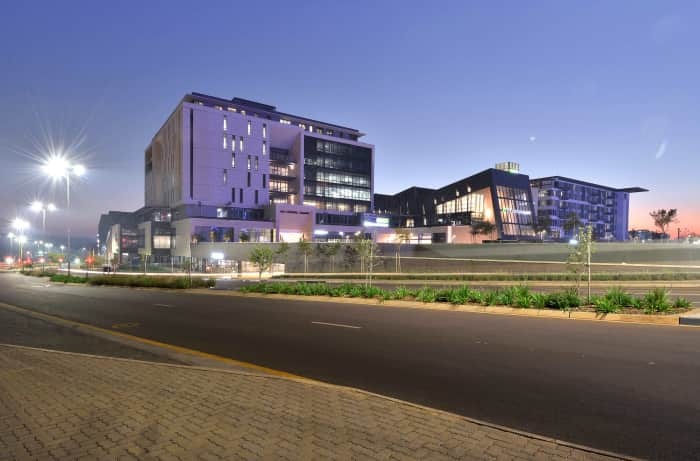 In keeping with the New Urbanist ideals of Menlyn Maine, the development provides well-lit and walk able pathways to provide safe transit between buildings and complexes. Interspersed among the networks are parks, sculptures and resting areas. Traffic is regulated by a series of circles and pedestrian-friendly features. “In the initial design, it was important for us to plan ahead to alleviate any potential traffic issues. Hence the direct access off Atterbury Road from the north, and the connection of Garsfontein in the south, January Masilela on the east side and Corobay on the west. Menlyn Maine has also been designed to provide ease of access for visitors using public transport, with four bus stops linking to the Gautrain and the Bus Rapid Transit system running between Menlyn Maine and Hatfield”. The mega-city is now nearing completion and traffic is flowing freely. Central Square’s business hotel, The Capital, and conference centre has been launched. 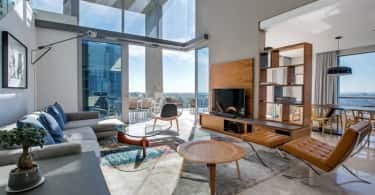 Still to be completed are the residential units, which are due for occupation in the first quarter of 2019. The first phase will have 520 units priced between R1.3-milion to R12-million, and there will be a total of 550 apartments. “Visitors can expect to see the development come to full fruition over the next 18 months. Conceived as a new growth node and business centre, Menlyn Maine is fulfilling its vision of a property concept that integrates corporate office, retail, residential, entertainment and hospitality space in one holistic precinct. Many businesses have relocated their head offices to participate in the exclusivity and innovation that is represented by Menlyn Maine,” confirmed Jankowitz. 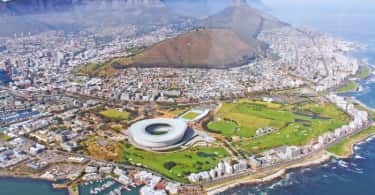 “Tenants, which include the Public Investment Corporation, Nedbank, Sage and Pam Golding, have been attracted by the central location, allowing them to easily conduct business. Menlyn Maine is 10 minutes from Brooklyn, 20 minutes from the city centre, 25 minutes from OR Tambo International and 40 minutes from the Johannesburg CBD. By day, the precinct is abuzz with business – and by night it is transformed into a glittering entertainment venue. The casino is now up-and- running and the spectacular facade, visible from the restaurants at Central Square, light up the night sky”.